This book quickly became a favorite for my wife and I. One of the biggest takeaways I got from reading it is that “prophecy is about relationship.” Relationship with God and with one another. Sounds so simple (and it is) but it’s so powerful too! 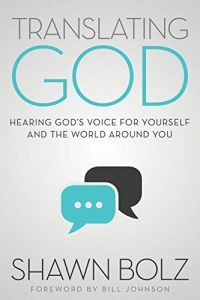 I’ve read and re-read these notes several times since I finished this book and I always find something encouraging in them when I do, hope you do too! Click here to get a copy of this book on Amazon. Think of how technology accelerates things. The prophetic is the same way. Story of South American dictator president. “He told me that he wouldn’t help you with this [phrase withheld].” It was like a five-word code name. “If we are not love motivated but rule motivated, we can build character around a ministry or gift – for a time – but we risk not being able to maintain it with the same passion. Following rules is an intellectual choice that our hearts may or may not follow, especially when obedience is often dependent on circumstances.